Today was a Bank Holiday Monday. Bank holiday is similar to public holiday in Hong Kong. I did not realize that before planning this trip. So, I decided to follow to the plan and change at any time if necessary. From the young man in railway information center yesterday, I arrived Edinburgh Waverley Station before 7am. To arrive there at such early time, I needed to take almost the first departure of bus from my hostel. When I arrived the station, the train to Manchester was waiting for me already. The service was provided by Virgin. The model is called Voyager, a 3 coach diesel train. 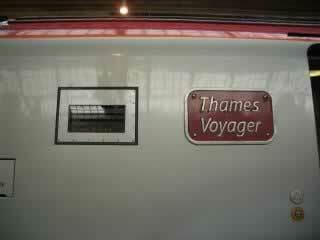 The name of this Voyager was "Thomas". I don't know why they deployed a diesel train on this route as the track should be electrified. 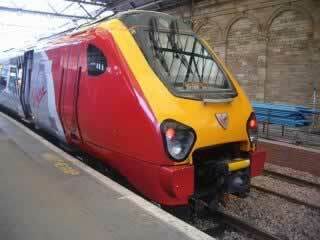 Anyway, like the electric train Pendolino I took to Scotland, the Voyager was very modern as well. They were all new trains. The best facility, in my opinion, is this life socket. 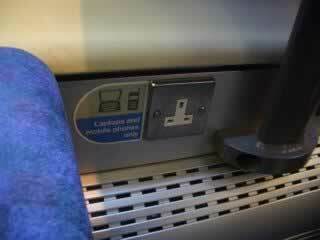 I could charge up my digital camera and mobile phone during the "voyage". 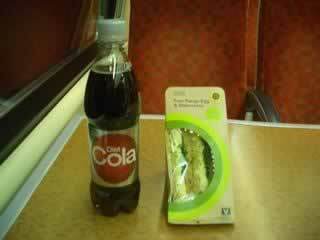 I got egg mayonnaises sandwiches and a Marks and Spencer Diet Coke for breakfast. My budget was so tight to prevent me having any sandwiches with meat. 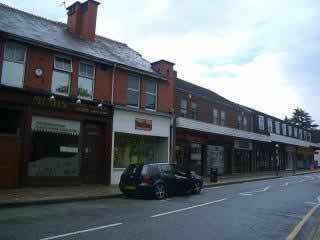 As said, I was supposed to go to Blaenau Ffestiniog. But I changed my mind in the midway. The reason was I really worried about finding a hotel with vacancy there. I also worried about the room rate. Since I was running on the west coast. And I knew that if I follow this route, I could get to Wolverhampton easily. I know Wolverhampton more than anywhere in Wales. And I thought I should have no problem to find a cheap stay there. Also, there was direct train service to Porthmadog. So I decided to go to Wolverhampton first. Not too many backpackers will visit Wolverhampton. There was nothing to see. 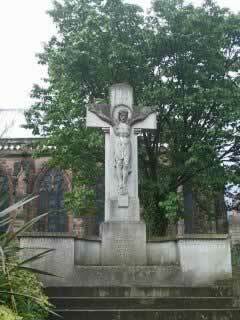 Also, as a town in the former Black Country, it was not a particular safe place to visit. But for me, this town was full of memories. I spent 2 years for matriculation there. 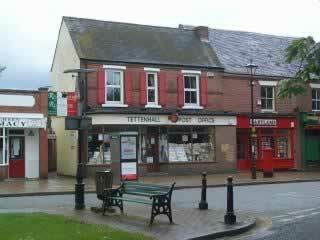 I stayed in a little village called Tettenhall. These were the first two years I stayed aboard in my life. I had joyful time and also miserable time. I had easy time and also hard time. But these all happened 12 years ago. Now, all of them are my memorable time. 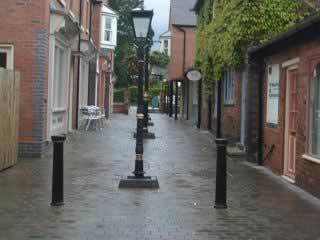 Just like everywhere in the UK, Wolverhampton changed a lot. To make things even worse, I haven't been back to this town after I started my study in London. That means I haven't been back to this town for 11 years. I used to think that I can recognize the town easily. But in fact, except areas around the railway station and bus terminus, everywhere seemed to be an absolutely new place for me. When I alighted the train, I saw some young boys walking together, speaking Cantonese. I wondered if they were from the college I studied before. I remembered the bus route that took me from the station back to the college was numbered 501. Luckily, this didn't change. But I couldn't remember buses follow Sunday timetable on bank holidays. I waited 25 minutes and the bus finally arrived. Just like London, all buses were replaced by new low floor buses. I bought a day ticket for 3. 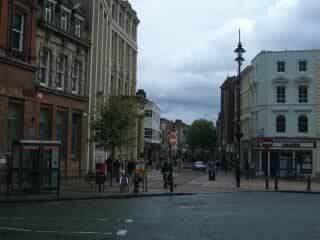 The bus passed through the town center of Wolverhampton. 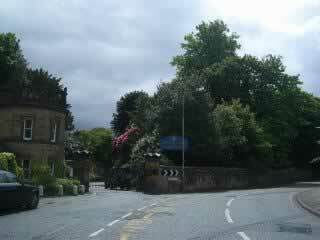 Then it arrived at a large roundabout and turned into a small road called Chapel Ash. From that point onwards, I started recognizing the place. And somehow I saw the Bed & Breakfast I stayed on the first night I arrived England, back in September 1992. I got off the bus in no time and saw the sign Revelstoke. I remembered the name. It was the one I stayed. Memories came back. I was prepared to knock the door to ask for any vacancy. But unfortunately, it was closed on bank holiday. I was very disappointed and started to worry about where to stay tonight. I asked some locals and a lady asked if I can accept the room rate in a hotel called Connaught Hotel nearby. I heard about this hotel before. Actually, I used to pass in front of it many many times when I was there. But every time I went pass it, I felt that it must be an expensive place to stay. So I have never entered the lobby. I walked into the lobby and asked the room rate. It was 27.50p per night. That was already a special rate. What should I do? The price was nearly double of the hostel rate. Should I leave and find a hostel instead? Or should I treat myself better? Since I was so tired, I took the offer and was escorted to my room. After leaving my luggage in my room, I left and walked around. 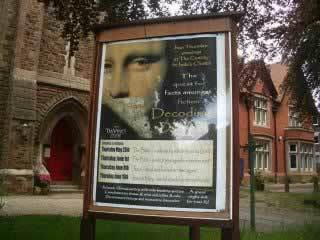 Everyone were crazy about Da Vinci Code in the UK. And churches were busy to help people decoding. I was appreciated to see people trying their best to straighten the Gospel. I believe all churches in this country will stand out to say something for Jesus, except the one charging people 7 per entrance. I spent about half an hour in finding a hotel room. After everything was settled, it was about time for another 501 to arrive at the stop I alighted. I waited at the stop again and just a few minutes later, the next 501 arrived. 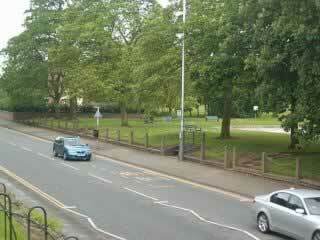 I took it to Tettenhall village. Luckily, I still remembered where to get off. 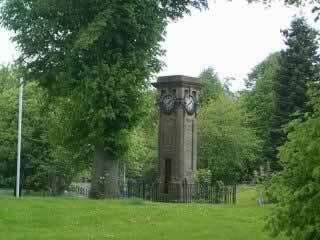 This clock tower is the landmark of Tettenhall. I believed it got its own history. But I had never figured it out when I was there. And I also did not figure it out this time. Anyway, who cares? The bus stop was just next to it. 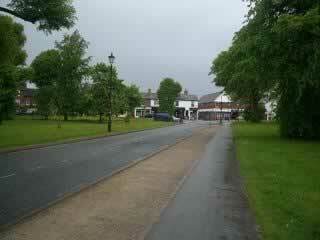 I alighted the bus and walked up a few steps to the entrance of the village. 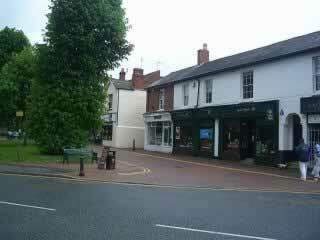 Tettenhall village did not change much. I walked to the post office. 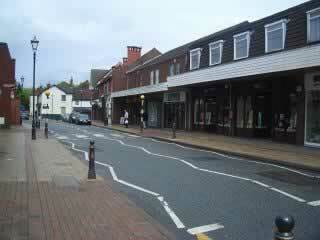 I used to buy stamps and aerogramme there. But it was closed today. 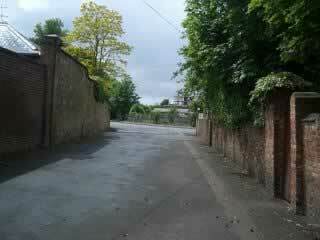 I entered the lane on the left of the post office. I seldom walked into this lane as the shops inside only sold kitchenware. Also, all the shops were closed today. 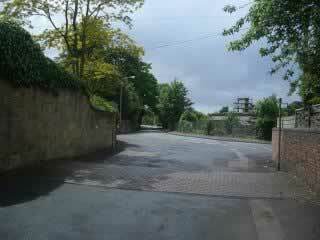 At the end of the lane, I reached Nursery Lane. 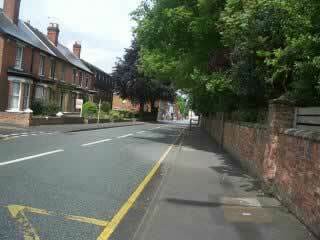 I turned left and reached the main road of Tettenhall village. 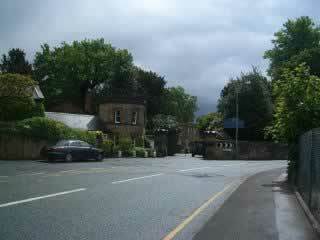 My college, Tettenhall College, was on the right. 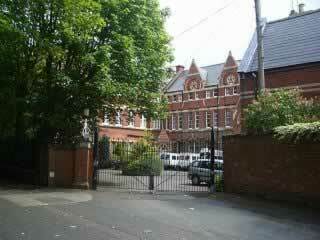 On the left of the main entrance is the back door to the boarding house. Actually, I used to use the back door more often than the main entrance. I was thinking if I should visit my teachers and headmaster. I knew that British did not like people visiting them without any former notice. But would they excuse me once for I traveled more than 8000 miles to there? When I arrived at the entrance of the college, I knew that there was no need to ring the door bell because today was not a school day. 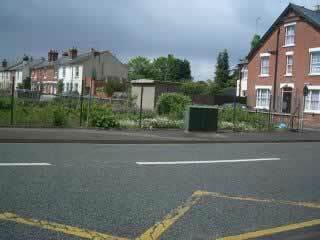 I used to go to school on bank holidays when I was there. But it seemed they have changed the rules. I started to walk back to the bus stop. 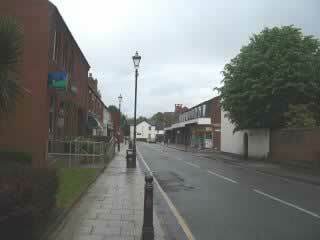 After turning right, I entered the main street of Tettenhall Village again. 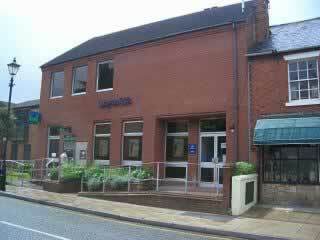 Lloyd's Bank was the only bank in the Tettenhall Village. The building seemed to be refurbished. And they have installed a new ATM. The supermarket was used to be Kwik Save. 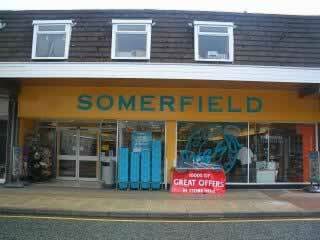 But now, it was changed to Somerfield. The shop was totally refurbished. 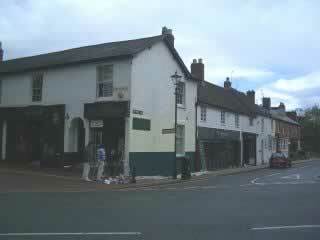 Looking back to the main street, I found a new Chinese take away in the village. When I was studying there, I needed to walk 30 minutes to the nearby Chinese take away and 30 minutes return. The other areas of the village were not changed too much. 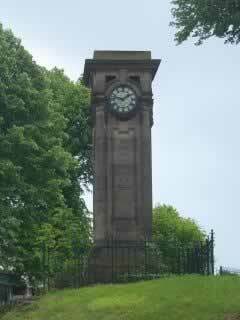 I went back to the clock tower. My short visit back to my college ended here. I waited 501 back to town center at this bus stop, where I used to wait for buses every weekends. I felt strange. When I was here 12 years ago, I dreamed to be going back Hong Kong everyday. But now, I paid fifteen thousand dollars to come back here, a place that I used to consider as hell, to find my forgotten but precious memories. Okay, let's talk about bus. Like most buses in Hong Kong. There was a TV at the font of the upper deck. And the TV on this bus was even larger than those on Hong Kong buses. But it was not used to show advertisements. 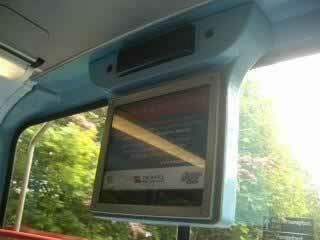 It was a CCTV showing different areas of the bus so that passengers can keep an eye on each others. This made me feel even more insecure to stay in this town. I took this little video on the bus. 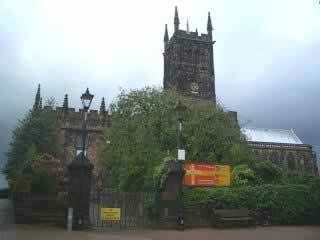 My bus stopped outside the cathedral in Wolverhampton. I had never went inside there before. I was not a believer when I was studying here. I walked into the high street of Wolverhampton. Finally, I found some shops opened. Have you heard about this football team, the wolves? 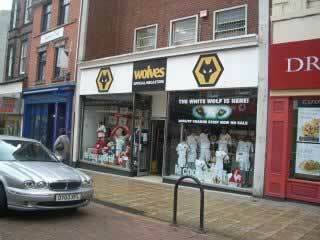 It is the local football team of Wolverhampton. I spent 60 to watch their match once before. I walked around the city center. 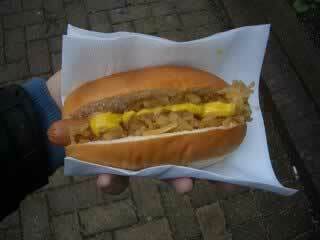 I started to feel hungry and bought a hot dog from the street vender for one pound. Everything changed a lot. And I even lost my way and went into some quiet areas. It was in early afternoon but I could hear noise of fighting behind me. I felt really insecure. 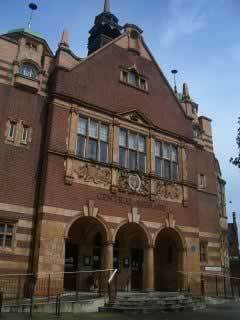 I somehow walked to the central library of Wolverhampton. I remembered that there were Chinese books inside. 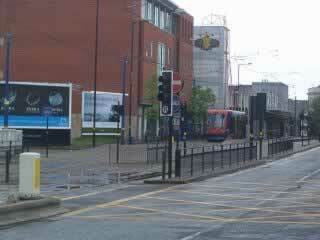 Next to the library was the new metro system of Wolverhampton. It was planned to be an intensive network but only the first phase was completed at this moment. 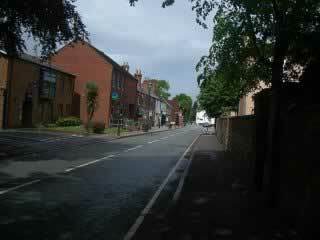 Near the bus station was Sainsbury supermarket. It was a former church. 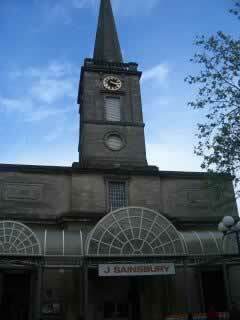 But the church closed down and the building was converted to a supermarket. It was in this shape when I was studying here. 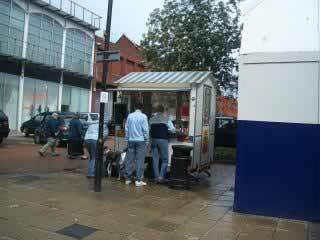 At that time, spending hours buying food for dinner from here was my greatest pleasure. I bought food for tonight and tomorrow. 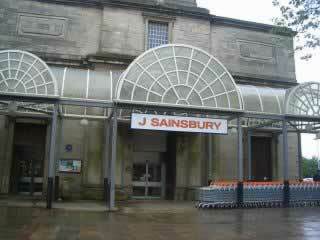 I still felt happy when I was pushing the trolley inside this huge building. There was a hotel called Wulfrun next to the bus terminus. The hotel looked very old and dirty. But it got a sign saying rooms from 19. I knocked the door and asked for the actual room rate. An Indian answered the door and told me the room rate was 35 for the next day. If the room rate was around 20, I may consider. But 35? Get lose! I walked to the railway station and asked for the train timetable to Porthmadog. The ticket officer gave me a timetable and asked me to check it out myself. I checked it and found that the first train from Wolverhampton to Porthmadog would depart at 0650 hours. But the next one wouldn't depart until 1200 hours! How frequent the service was! I took bus back to the hotel and decided to sleep early. I was so tired and I felt really insecure to stay here. I couldn't imagine how come I could survive for 2 years here. Finally, someone called my mobile. It was Brian. He called at 11pm and woke me up. But I was happy to hear voices from my friend. He told me that my hotel was actually very cheap when I was telling him that I was looking for somewhere cost 10 per night. BTW, do you want to see my hotel room? Click the video link below to view it.